Med carts help minimize the risk of error by allowing medical professionals to carry an organized supply of medications and equipment with them to each patient. They can even input data into a computer instantly, reducing the possibility of human error. Today with the majority of medical facilities switching over to the use of med carts with mobilized computing systems, professionals have the opportunity to keep patients’ medical records next to them at all times. Often, when someone needs to gather information in a separate area from where that information must be delivered, some details or specifics may be lost in the processes. When someone is tired or overworked short-term memory may not function as well as it should and the person could forget or confuse critical information. The ability to carry all medical equipment on a balanced wheeled device reduces the risk of medical supplies being dropped during transport. There a variety of regulatory requirements for med carts that ensure supplies are being transported with the safest possible methods. If supplies are not transported in a safe space, valuable medical supplies like samples, medication, and fragile equipment could be damaged. Having clearly labeled medication on hand lowers the possibility of improper medication being administered. A nurse can directly reach into a drawer and accesses the medication the second they are given a doctor’s treatment plan. In the unfortunate case of an unknown allergy or complication arising during treatment, medical professionals have all the supplies they need to treat an emergency as soon as possible. Point of Care technology, and POC testing, stored on med carts makes it possible for infectious diseases to stay contained. In the time it takes for a nurse to transport samples for testing and return, there is a large risk that an infectious disease could spread. Testing in the room means these diseases can be identified sooner and contained quickly, reducing the risk of an outbreak. .Tablets and other devices do not have full-size keyboards and the chance of improper data entry is high. 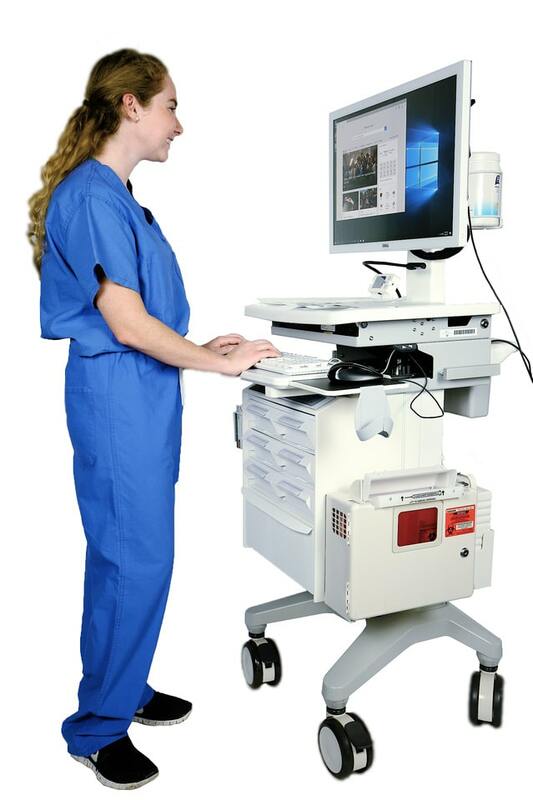 Computerized med carts contain full-sized keyboards, so professionals can type information accurately and efficiently. Take a look at all the computerized med carts for sale at Scott-Clark medical to find the right med cart for your practices needs. Taking the time to look at different med carts for sale can lower your risk of workplace accidents. If a med cart is not properly suited to your facility the risk of cart-related accidents is highly increased. When a cart is equipped with proper balancing mechanisms and is the proper size for the spaces it will be used within your office can utilize them at their highest capacity. 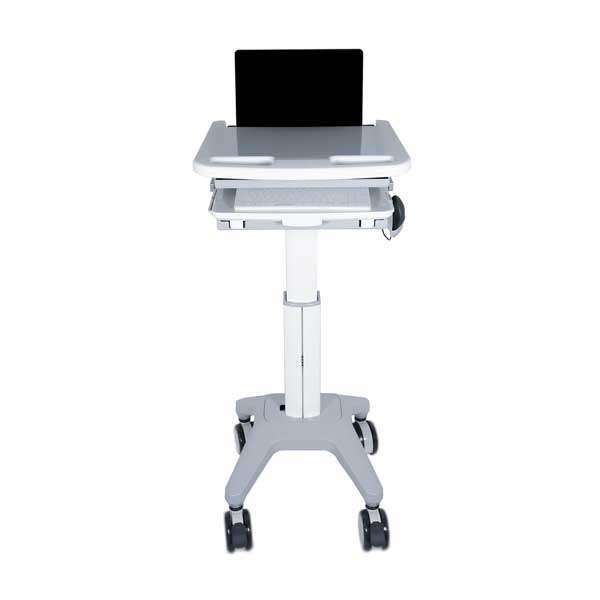 Med carts increase productivity and reduce the risk of error primarily through ease of access to medical information. The benefits of having med carts in your facility are numerous, they allow for quicker patient response time, data retrieval and entry, and help maintain a clean organized working space.